Learn more about our department, our insurance rating, who's on our roster, check out photos, or contact us for further information. We are always actively seeking volunteers, and there are many ways to contribute. Please contact us for more information. Need more information on business pre-incident plans? A presentation for your group on fire safety, search & rescue, or other topics? Let us know! 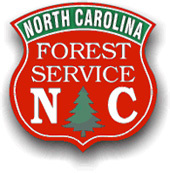 We are proud partners with the North Carolina Forest Service. If you need a burn permit, please click on the Forest Service Logo. Please remember to burn responsibly!